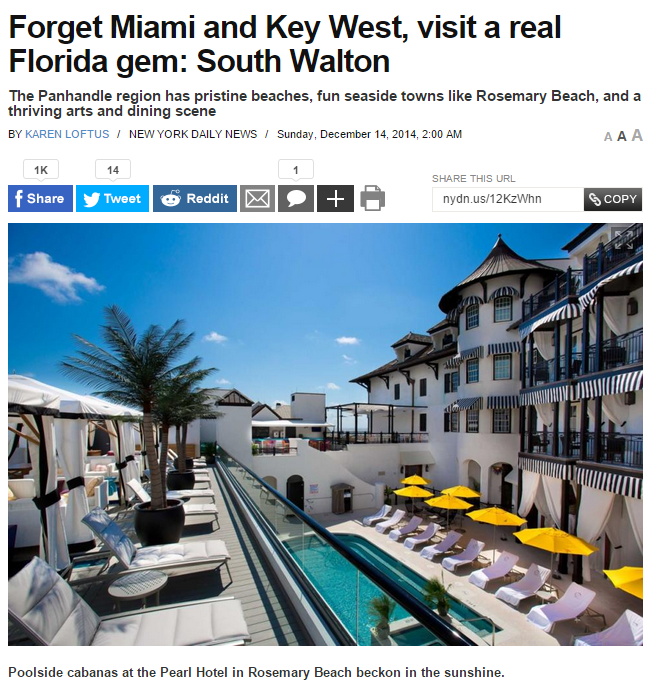 NY Daily News Writes About South Walton! When I first moved here in 2004, you would not see any license plates from the Northeast, let along NY. Things have changed! I’ve counted 56 NY license plates this year…with 17 days to go. Our beach town continues to be discovered. This awesome article in the NY Daily News just shows that word is getting out about beach towns along Scenic Highway 30A in South Walton. Call Somers & Company at 850.231.1500 for information about how you can own your own 30A luxury home in South Walton.